In 2017 SKYCITY began working with Indigenous Growth Limited to develop a corporate leadership programme that would support a pipeline of Māori employees through to managerial roles, and focus on delivering inclusion, not just diversity, to the business. We caught up with SKYCITY CEO Graeme Stephens to find out what impact the project had. 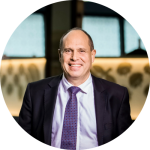 Global Women: What was the business challenge SKYCITY was looking to solve when you first engaged with Michael Moka and his team? Graeme Stephens: At SKYCITY we acknowledge and respect the unique place of Māori as Tangata Whenua in Aotearoa New Zealand. Our key issue was that we had no senior leaders who identified as Māori, in contrast to 9% of our total workforce. We need to ensure that Māori voices are heard at the senior level and that Māori world views, values, and leadership behaviours contribute to SKYCITY’s competitive advantage. Global Women: Tell us a little about the programme you set up. Graeme Stephens: We promote Tahuna te Ahi to all Māori employees, whatever level of the business they work in. To be accepted onto the programme, applicants go through an interview process, which ensures a good mix of participants and clarity over what is involved. The content is carefully designed to deliver authentic Māori perspective and content, and corporate leadership development. The programme itself is a mixture of workshops and individual coaching. Global Women: What impact has the programme had for the business? Graeme Stephens: The programme’s impact has been felt across the business. Two groups have completed the course so far and we have heard from our graduates that the programme has encouraged them to connect indigenous values with business in a practical way. In one example, concepts like Manaakitanga, which has a natural fit with the hospitality and tourism industry, were recognised as part of our corporate values, driving a culture that supports the success of our business. Global Women: How important is it for company leaders to be involved in setting up, implementing and championing projects like this? Graeme Stephens: It is vital, and Indigenous Growth Limited recognised that 100%. They wouldn’t agree to run the programme before I committed to attending the half-day graduation! Internally, it was important to me that staff across the business could see that I was fully behind the programme.